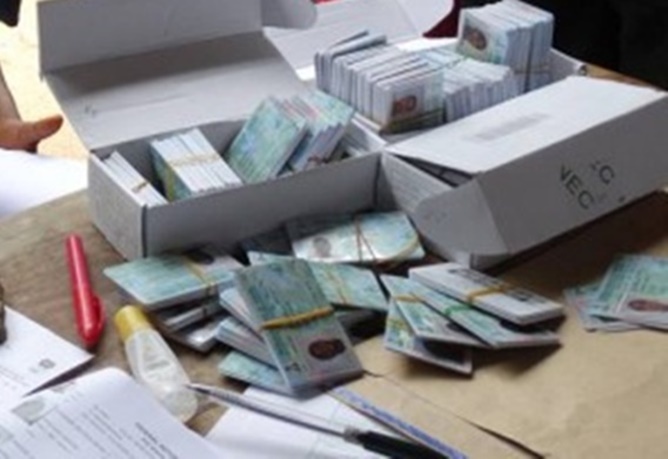 Controversial Vanguard columnist, Femi Aribisala says the Permanent Voters’ Card (PVC) is presently a problem for Nigeria’s democracy. He said this was because the way it has been distributed has already given one region supremacy over the other in deciding who leads the country. “… we will have a situation where same people will decide again that the North will produce the president as long as we are dealing with these so-called PVCs. They have permanently ensured that one region has supremacy over others. Let us not pretend that it is not what has been achieved. So we need to address that now. We need to start talking about it now,” he told Vanguard in an interview. “The problem with the PVC is that nine million people are registering to vote in war-torn Borno. Where are they getting these people? How are they getting 17.1 million people in the North-West? And 15 million in the South-South and the South-East. We have to determine who gets the PVCs. At the point of registering for the PVC, we need to know the nationality of those registering. We need to know if they are Chadians, Nigerians, children or adults. It is quite significant for me that these PVCs failed in the election in some places. “Why should the PVC fail in the South? Buhari did not have any problem of voting but the PVC did not recognise the number one citizen of the country. The failure rate of the PVC in the South-South and South-East was high. In the middle of the election, the rules of the game were changed and the PVC was not needed anymore. By the time we got to the governorship election, the PVC worked better. And I ask: Why did it work better? I believe that the PVC was programmed to fail,” Aribisala said. may God bless you sir. truth they say is very bitter. Hey very nice site!! Man .. Excellent .. Superb .. І’ll bookmark yоur website and tɑke tһe feeds additionally? techniques in tһіѕ regard, tһank you for sharing.